a process or record of research in which detailed consideration is given to the development of a particular person, group, or situation over a period of time. a particular instance of something used or analyzed in order to illustrate a thesis or principle. Essentially you are taking a deeper look at the details of a situation, usually one that parallels something you are looking to do in business, and learning from either their mistakes or successes. Both positive and negative turnouts can provide valuable information and help to further illustrate a “Blueprint for Success”. Case Studies can come from a variety of sources. As the format for Case Studies can be rather ambiguous, you do have to perform some digging when looking for Case Studies that are in line with the type of information you are looking for. Depending on your industry, there are many Universities with online libraries open to the public that you can use to search within the business resources. You must be vigilant to note whether the studies were done using a real or fictitious source, as some schools will create fictitious Case Studies to mimic the real life scenarios when teaching students. One of the best things about a case study is how specifically targeted they are. Good Case Studies are honing in on a niche, and providing laser-focused information on problems and solutions. Knowing what your niche is will point you directly to the Case Studies that will shed light on obstacles that you have had or will experience, things that work and those that don’t. Case Studies are a fantastic method of bringing in cited examples filled with statistics. You can use these in your Business Plan for when you are preparing to apply for a Small Business Loan, or Start-Up Loan, and you can use Case Studies when you are pitching ideas to your team, or even in creating content for your digital marketing. When you use cite Case Studies it shows that you have done your due diligence, you know your audience and you can speak to specific problems that occur. In any new business, unforeseen circumstances will give you a run for your money. Most Case Studies are created to show you how specific problems were solved, and provide you with solid statistics. Instead of throwing out vague statistics like, “watering your plants with this solution will kill some weeds”, you can specify “will kill 94.5% of weeds”. People need to hear the numbers. Using Case Studies will also help to save you from all the trial-and-error that wastes time. Being able to see what has actually worked for others in your situation is a great time-saver. With all the false information and statistics that are out there on the internet, polluting our solid facts, it is understandable that people have become very skeptical of the information that the read on the internet, or even that their CEO is citing from the web. Customers are scouring your copy to find any trace of error. That is why people take peer reviews and factual findings seriously. Take a look at our online review culture and you will see how great of an effect social proof has on a consumer decision. Use this to your advantage whenever possible! Aside from gathering information and data from existing Case Studies, you can create your own. If you thought that it was valuable to use them from others, just wait until you see the impact of gathering your own data and formulating your own studies. However, it takes time, dedication and a lot of research to develop Case Studies on your own. When you create your own Case Studies – or any other content for that matter – you should be publishing it to multiple channels, promoting the content with paid-ads, and looking for widgets that will allow for mailing list opt-ins for those who are checking out your content. Learning to make the most out of Case Studies, along with any other content you generate, will continue to improve your business and lead you into lifelong success! 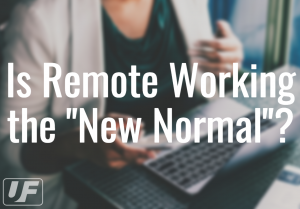 Is Remote Work the New Normal? Working from home or working remotely used to be a frightening thing to hear. One would imagine a skeezy old man hunched over an old desk, surrounded by piles of papers and towers of moving boxes – while smoking a cigar… However, times have changed. Last year, a report by U.S. market research firm Gallup found that the number of American employees working remotely rose to 43 percent in 2016 from 39 percent in 2012. Another study, by telecommuting research firm Global Workplace Analytics and recruitment firm FlexJobs, found that 3.9 million American workers said they telecommuted at least half of the time in 2015, representing an increase of 115 percent from the 1.8 million U.S. employees that said the same in 2005. So, now you could update that mental image to a young professional, focused on the screen of their sleek MacBook Pro and engaged in a conference call, while sitting at a cafe or in a modern home office. In fact, many businesses are turning to freelancers to contract work or off-site employees rather than employ on-site staff to complete many projects. One fear among business management staff initially, was that there would be a lack of motivation, or that the time would be ill-spent by employees taking advantage of their work atmosphere. However, it was found that the majority of off-site employees were putting out higher quality work at a faster pace. All that could be concluded by the managers was that it didn’t matter how many hours they were spending, as long as the work was meeting expectations – and employees were exceeding them in most cases. For those who were not performing as well when given the option to work remotely, they were still held to the same standards of discipline and let go when under-performance became excessive. The concept of how a work environment affects each individual professional has been highly scrutinized in recent years. The psychology behind mental driving factors is an important focus, as businesses are working to improve the quality of work environments and overall mental health of their employees. 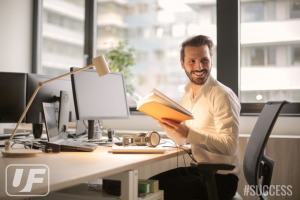 Having a certain amount of flexibility to customize a work environment and workflow has proved to be a fantastic way to decrease the level of stress that the average professional experiences, therefore increase their productivity and output. Freelancers in general are planning for the future evolution of our work-world faster than the rest. In a 2017 survey done by Upwork, they estimated that the majority of the workforce will be working remotely by 2027. As the landscape is becoming increasingly digital, there is less of a need to have office buildings and on-site business locations for jobs that provide a service. This doesn’t mean that brick and mortar businesses will be obsolete, but rather they will become fewer. Businesses are looking at these decisions from a practical sense, saving money on working accommodations for employees, and in many cases improving the quality of work. When it comes to freelancers who work remotely, you can’t help but have a great deal of respect for them. Their very livelihood depends on their work ethic. If they are not motivating themselves to seek out work opportunities, take action and provide quality work, then they can’t afford their living or work expenses. Many freelancers also take out start-up loans or small business loans to set their business foundation, so not only are they demonstrating financial responsibility, but a driving factor to getting a job done right. So, when it comes to the stigma behind professionals who work from home or work remotely, the important aspect to consider nowadays is not where they are working from, but how they work. What is the quality of the service you are receiving? If you are treated with respect and provided with solid results, then all that matters about their work environment is that it inspires them to get the job done well, for you! 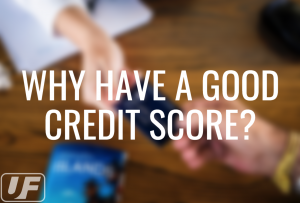 How Can Good Credit Improve Your Life? As one of the most common large purchases that Americans will make, your credit score can save you a lot of money in this scenario if it is in good standing. People with lower credit scores will end up paying more money for the same car, compared to those with good credit. Why? Because if you are financing your new vehicle, interest rates will be higher for those with lower credit scores, and generally the down payment will also be higher. In addition to the actual car payment, you will also need to purchase car insurance. Nowadays a lot of insurance agencies will also factor your credit score into calculating premiums, which will result in a higher cost for those with lower credit scores… Yikes! Most people dream of owning their own home, and there are a lot of benefits to owning property. Whether you plan to live in the home, or rent it out, there are lots of effects that your credit score will have. There are stricter requirements for getting a loan, but with a good credit score you can avoid a lot of the headache. Some people already own their property, but down-the-line they may want to take out a loan to make improvements on their home for the sake of selling the house, renting it, or just updating for their own satisfaction. These type loan amounts can vary depending on the amount of work needing to be done on the property, however you will still have to have good credit to get the amount you need with the least amount of interest. So many rental properties will now require a credit check for delinquencies and overall score. If you have a lower credit score, it may require you to have a cosigner. Even in those situations however, if you credit score shows too many signs of neglect, renting a property can be extremely difficult. This is one of those common situations where you credit score could really affect your living situation, so it’s important to work on your credit so you can have access to a property that fits with your lifestyle and ideals. Many people these days are taking matters into their own hands and making their dreams a reality by starting their own business. Even with so many businesses becoming remote – working from home or a coffee shop – there are still a lot of costs that can quickly add up. From gas, to internet, to computers, printers and so much more, many businesses need a start-up loan to get their new business on its feet. It’s ironic that a venture to make more money could require so much money, but when you have a great business plan and good credit, it can all set you up for financial success and overall happiness in life. Don’t let bad credit scores stand in the way of your dreams! So many things can negatively affect your credit. Even if you are never missing a payment, your debt to balance ratio may be severely compromised, you might have a high number of cards open (or closed), or you have had too many hard inquiries. So many things can wreck your score if you are not careful, which is why it is important to consult with experts on how to fix your score. We love consulting with our clients on getting loans to fit their needs, and so often credit scores can be that monster hiding in the closet to scare lenders. Don’t let your credit score be a nightmare, be proactive and take steps to fix your low score or maintain your high score so you are on your path to success! 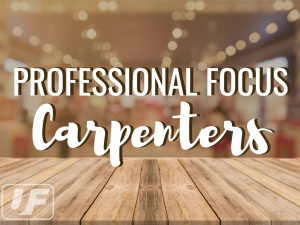 With our world advancing at lightning speed, there is always a need for a skilled carpenter to perform the intricate work involved in the process of developing a new property. If you love hands-on work and being your own boss, this industry will have endless lucrative opportunities! However, with any self-employed profession, your success greatly relies on the structure of your business plan and getting all the right pieces in working order. Setting yourself up for success from the start will ensure that you will be able to focus on your clients and building a reputation that will bring both repeat and brand new business. Proper funding will provide you with access to superior training programs, durable top-of-the-line equipment and cover all the required licenses and fees. If you have absolutely zero experience in carpentry, then getting some experience and training under your belt is necessary to stand out in this competitive market. The goal is for your work to do the majority of the marketing for you – above average work gains above average reviews from your clients. You want to remember two types of potential future work that will come from each finished project – rehiring and word-of-mouth referrals. If your work is subpar, there are many other competitors that will beat you in the market, so before you start your business make sure you can provide good work! You may not always need to be licensed for every job, but it sure does increase the likelihood of scoring good quality job opportunities. Having the credentials will open more doors for projects in commercial versus residential. You can search on sites, such as Study.com, to find educational programs that are offered. Apprenticeships are also available and can last 3-5 years. While this may seem like an extensive process to precede starting your business, it builds a strong foundation for a solid business model and the portfolio of work you can demonstrate to a potential client. You can search your state or local area for different types of apprenticeships offered using sites like Indeed.com or Glassdoor.com -or you can apply to NWCI’s apprenticeship program that will start paying a salary while you learn. Proficiency in trim work, drilling and setting hardware for doors and windows, setting windows, stair layouts, etc. Once you have the necessary training or experience in carpentry, you will need to create your Business Plan – this includes all the projected expenses from start-up to day-to-day. Most new Carpentry businesses require a small business loan to get them on their feet, so it is vital that you have a plan to present that will include all the details of your business, how much you will need to spend and how you plan to succeed. If you have never written a business plan, then Bplans.com has an excellent template to get you started. Unsecured Finances has over 10 years in business, specializing in Unsecured Business and Start-Up Specialty Loans including; Unsecured No Documentation (No-Doc Stated Income) Loans, Unsecured Business Loans, and Unsecured Start-Up Business Loans and Lines of Credit from $10,000 to $500,000 without Assets.